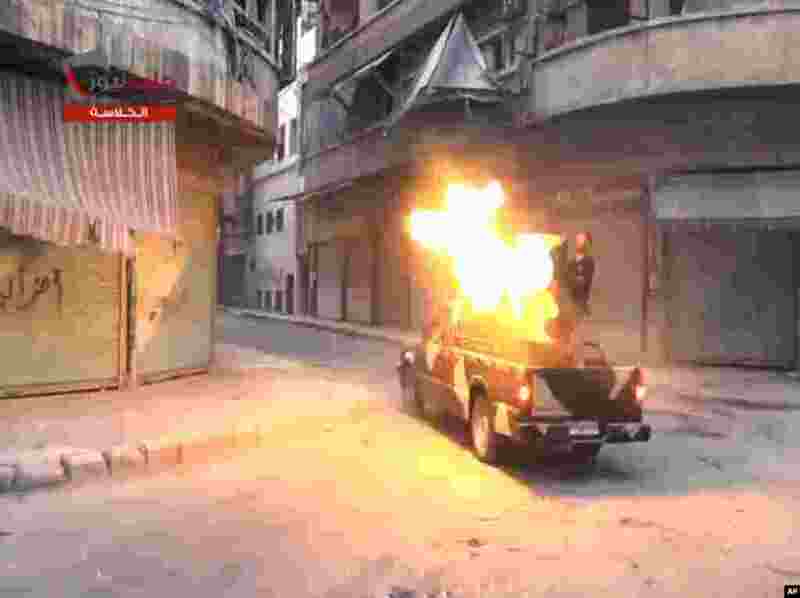 1 In this image taken from video from the Shaam News Network, fighters from the Free Syrian Army target regime forces in Aleppo, Syria, July 22, 2013. 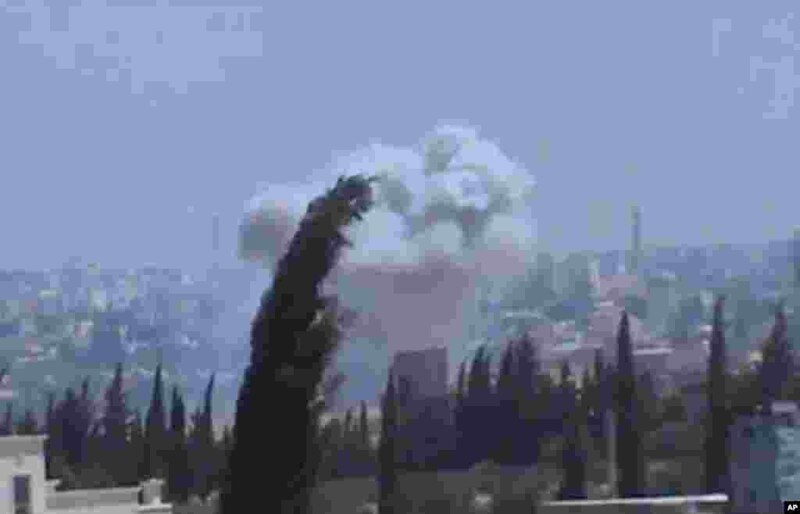 2 In this image taken from video obtained from the Shaam News Network, columns of smoke billow after heavy bombing, in the countryside outside of Aleppo, Syria, July 22, 2013. 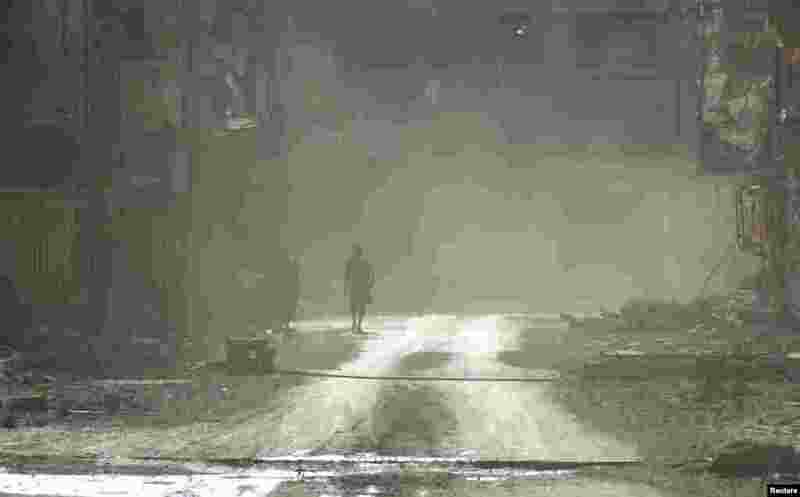 3 Members of the Free Syrian Army are seen through smoke as they walks along a damaged street filled with debris in Deir al-Zor, Syria, July 22, 2013. 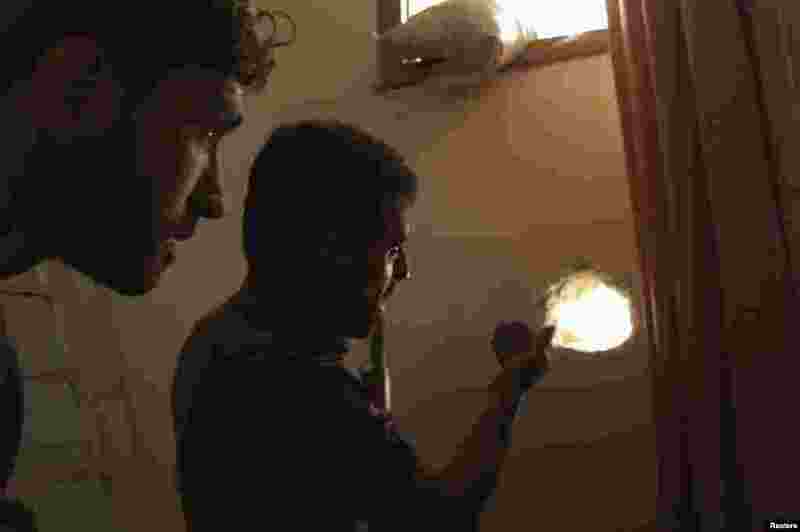 4 Free Syrian Army fighters take their positions in a room as they try to locate snipers in Aleppo's Salaheddine neighborhood, July 21, 2013.